Summertime has knocked on our doors and aggressively walked in, and while some of us may have opted for Seersucker suits irrespective of geography, or decided to give linen suits a try, others have kept themselves rooted in traditional woolens. And there’s nothing wrong with that. Unless you paint the same colors on a new canvas. Every. Single. Day. While dressing up well is hard enough for most of us men, dressing according to season is about as alien to most of us as chicken tikka masala is to pizza and pasta. Except, unlike with the latter (barring serious levels of inebriation), the former can work. Seasons are great for mixing and matching of colors. So without further ado, let’s discuss color schemes that can work in the summer to really accentuate and sharpen your look. While during the fall and winter, many of us may stick to grey suits with white and blue shirts, during spring and summer, experimentation with pastel colors is a great idea. 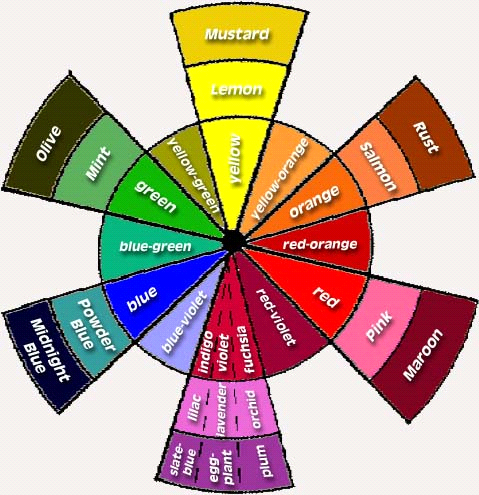 Using the color wheel below, we can see that analogous colors, complimentary colors (diagonally across each other on the color wheel) and that colors that form an equilateral triangle are great accent colors for one another. So, next time you’re out strutting your stuff this summer, why not go for a lilac shirt with a blue tie? Or to spice it up even more, and give off a casual vibe, how about a blue tie with a checkered lilac shirt? Other colors combinations that can work well during the summer are complimentary colors. Most of us avoid orange like the plague, especially when it comes to formal wear. But an orange tie on a blue shirt can work wonders. And last, but not least, always embrace pink! It’s the sign of the ultimate gentleman! As always, comments and suggestions are welcome!